Our story started in a Paris restaurant with the invitation to be a co-founder of a start-up. A year down the line we were in the middle of a deep recession when the dot com bubble burst. With a baby on the way, a mortgage to pay, and no money in the bank – everyone thought it was over. Well, not everyone, Samantha and I had a deep sense of peace that it was all going to be ok. It was a roller coaster ride and yet that business grew and continues to be a successful scale-up. 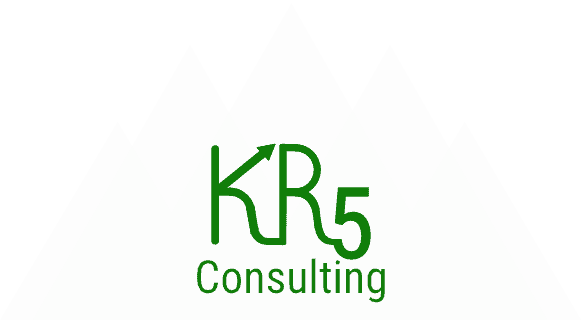 Fast forward nearly two decades, two teenagers and rather too many air miles, we founded KR5 Consulting in Jan 2017. We’re based in Bracknell, Berkshire, with a heart for business owners and their staff. Our mission is to support owners to profitably scale their business with a competitive edge. 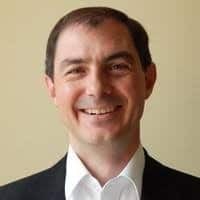 I’ve over thirty years of experience in systems, processes, technology and consulting in some of largest businesses in the world. As I worked with different people on different businesses, I realised a couple of things. Firstly, no matter how amazing or elegant the masterpiece, unless people engaged, there’s no solution. Understanding the people in the business and what they need is key to a successful solution. Secondly, I saw complexity in businesses of all sizes. I realised the need for an overview of how everything fits together for sustainable success. For me, it’s not only about translating vision into implementation, it’s also about the unrelenting march to increase competitive advantage. I’ve walked the journey in small and big business. This has given me insight, knowledge and techniques that have helped me make people very successful. I’m a people person with strengths in empathy and communication. My background in hospitality, nursing and raising a family have given me a deep understanding of the challenges people face in a workplace. I’ve lived the roller coaster of a start-up to scale-up business as a wife and mother, and I get it. I understand first-hand how stress at work can spill out into home life. 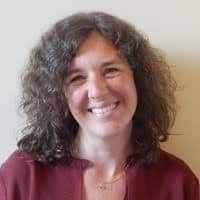 My own experience of a high-pressured and fast-paced nursing career taught me the importance of systems: Systems that work for people on the front line, and the need for compassionate and supportive leadership. Seek understanding – We seek to understand the people and the business to uncover both the vision and challenges. Busy people feel they don’t have time to capture their thoughts and concerns, yet these are needed to purposely drive the business forward. Journey together – We know that successful businesses are built one step at a time. We walk with you to help you build long-term success. For us, the relationship is at the heart of what we do. Challenge the status quo – Scaling a business involves change. Change is driven by where you want the business to be in the future. Change is driven by your strategy and how you want to differentiate. We’ll help you identify the gaps, priorities and manage the change. Doing the right thing – Doing the right thing is a long-term strategy. We’re more interested in your long-term success than our short-term gain.